Agility runs. Learn how to incorporate the different Agility obstacles into your dog's repertoire! 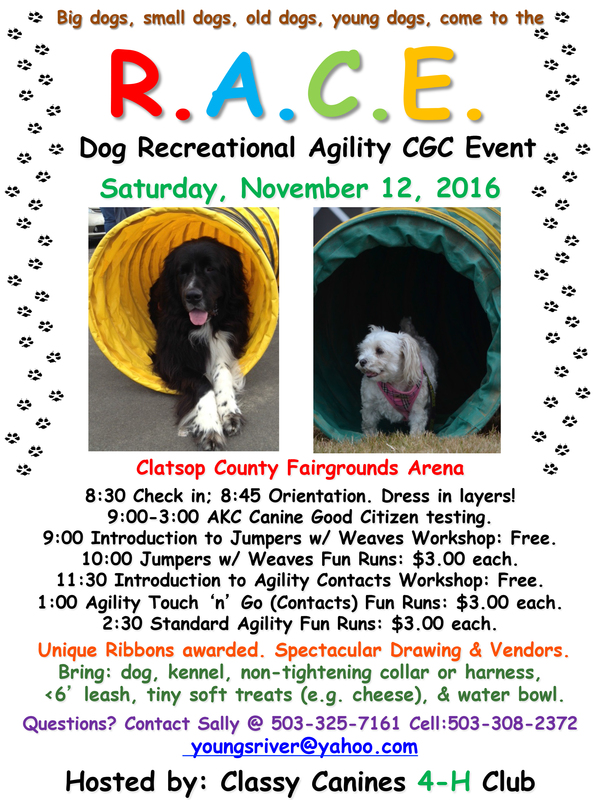 Arnicadia will be offering CGC and CGCA testing at the event as well as having a fun Rally Obedience course set up for breaks!